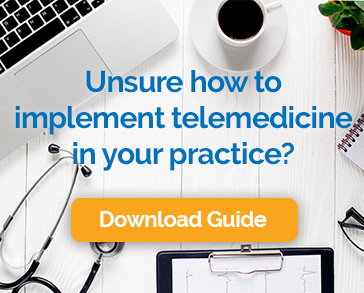 The American Telemedicine Association defines telemedicine as, “The use of medical information exchanged from one site to another via electronic communications to improve a patient’s clinical health status. Telemedicine includes a growing variety of applications and services using two-way video, email, smart phones, wireless tools and other forms of telecommunications technology.” With a definition so broad, it’s no wonder that simply saying that we are a telemedicine company isn’t enough to give people a clear picture of what we do. We can’t go into every type of telemedicine company in this one blog, but we thought it would be useful to break down four types of companies that operate in the telemedicine space. That’s right, your Fitbit, along with all the many other applications that use small devices or your phone to monitor your health, is a type of telemedicine. Doctors are increasingly prescribing these applications to help them gather more data and better insight into their patient’s health and habits. In fact, seventy percent of doctors report that at least one patient is sharing some form of health measurement data with them, according to Manhattan Research’s annual “Taking the Pulse” online survey of 2,950 practicing physicians. Companies in this space typically offer applications that rely on devices people already own like smartphones, small dedicated smart devices, or accessories that connect to a phone or lap top. Store and forward is an approach to medicine that captures data such as medical images or biosignals, which can be sent to a specialist as needed. This practice is common in the medical fields of dermatology, radiology and pathology. This method is not interactive and typically doesn’t replace the initial in-person appointment. Rather, it speeds the process of consulting with specialists and determining whether a referral is needed. There are many new telemedicine companies offering on-line doctors visits, on-demand. These services use a large network of physicians and PAs to provide 24×7 care for patients with whom they have no prior relationship. These services are on-line only and are not usually affiliated with the patient’s primary care provider. They charge either a flat rate per visit or a monthly subscription fee. Chiron Health provides a telemedicine solution designed to allow practices to offer real-time, virtual visits as an alternative to in-person visits for the appropriate types of cases. This type of telemedicine software is integrated with the EHR, supports HIPAA-compliant video and is easy for patients to use on the devices they already have. In addition, the solution has a built in reimbursement verification engine to make sure that providers are paid for remote visits. This approach offers cost savings and convenience for patients and protection against competition from online only providers for physicians’ practices. Terminology can be confusing when technology and medicine intersect. We hope this look at four types of telemedicine companies has helped create a better understanding of the different options available to patients and providers alike.